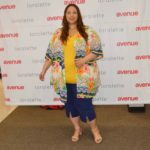 Plus size retailer Lane Bryant launched their new #ThisBody is Made to Shine Fall 2016 campaign this week, featuring actresses Gabourey Sidibe and Danielle Brooks, as well as plus size models Ashley Graham, Candice Huffine and Alessandra Garcia-Lorido. For the past 4 years, the retailer has been very successful at launching fashion campaigns such as the #ImNoAngel, #PlusIsEqual and #ThisBody campaigns. 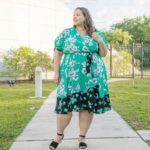 All of the previous campaigns made headlines around the world and have made the fashion industry take notice of the plus size customer, who have felt ignored by the fashion industry for a very long time. They don’t feel represented. 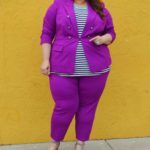 Lane Bryant decided to stick with the #ThisBody theme for this year’s campaign again, I guess you could call it the #ThisBody 2.0 campaign but the message is still the same only with a little twist. This year’s #ThisBody Is made to Shine campaign aims to empower, encourage body positivity within the plus size market and it also puts an emphasis on social media negativity and body shaming. All of the women in this campaign have had to deal with some type of body shaming, negative comments and even bullying at some point in their careers. Ashley Graham has certainly taken a lot of heat on Instagram for being “Too Skinny”, “Too Fat” or “Not Plus Size” enough. Daniel Brooks and Gabourey Sidibe for being “Too Big”. Everyone in the world seems to have an opinion about what their bodies should look like. That’s what the campaign is about, giving women their power back, to not let anyone dictate what they should or shouldn’t do with their bodies or what they should look like. To be happy with themselves wherever they are in their personal weight journey but above all, to take care of themselves and be healthy. The internet can be brutal, there are a lot of trolls and people who hide behind their computers to spread hate on social media. I have experienced some hate myself and I understand what is like. As a blogger, we put ourselves out there and it seems that on the internet everyone is a “Fashion Expert”, a “Fashion Critic” or a “Doctor”. They can diagnose your health status by looking at your pictures, unbelievable. I love the diversity of the campaign in body type and ethnicity. This is also the first time that Lane Bryant has used celebrities in a campaign. According to the press release about the campaign: “These women show us that no matter what people say, nothing can block their shine”. We totally agree, shine bright like a diamond ladies, keep on shining. Let’s encourage each other to live a more positive life and spread love: More Love, Less Hate. What do you guys think of the new Lane Bryant #ThisBody is Made To Shine Campaign?. Let me know in the comments and let’s chat!. For more information visit www.lanebryant.com. I am loving the message and diversity. I also know what you mean as a fashion blogger as well. It’s like we are always under a microscope. I just try, to be honest. Every picture I take isn’t perfect. There are plenty days where I wear don’t wear makeup other than a little Carmax. However, I don’t let people’s fake concern and opinions dictate how I feel about myself or my body. Yes!! That’s why I love this campaign, it has a great mesage. Thanks for stopping by.